You are here » Latest news / Dernières nouvelles / Laatste nieuws » 2016-07-05 » Where has this Amazing Comic Book Art Been all My Life? 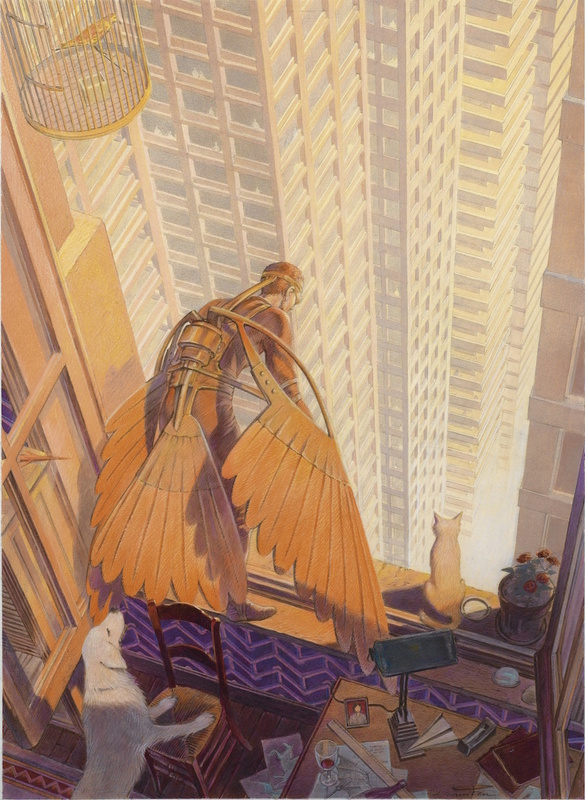 François Schuiten, like the creator of Tintin, is Belgian, and he’s best known for his drawing in the series Les Cités Obscures, a collaboration with his childhood friend, Benoît Peeters. They first worked together at the age of 12 on a school magazine; Benoît wrote the fictional stories, Fançois made the imaginative drawings, and pretty soon the faculty tried to stop them from publishing it, preferring Latin translations and moralizing anecdotes as more appropriate subject matters. After losing sight of each other for a few years, they rejoined forced in the 1980s to create “Les Cités Obscures” (The Obscure Cities, or a more accurate French to English translation of the title I’ve seen is Cities of the Fantastic). They made ten albums in the graphic novel series (I’ll list them at the end of the post), which invited us to a counter-Earth, a parallel world of their imaginations. “In this fictional world, humans live in independent city-states, each of which has developed a distinct civilization, each characterized by a distinctive architectural style”. 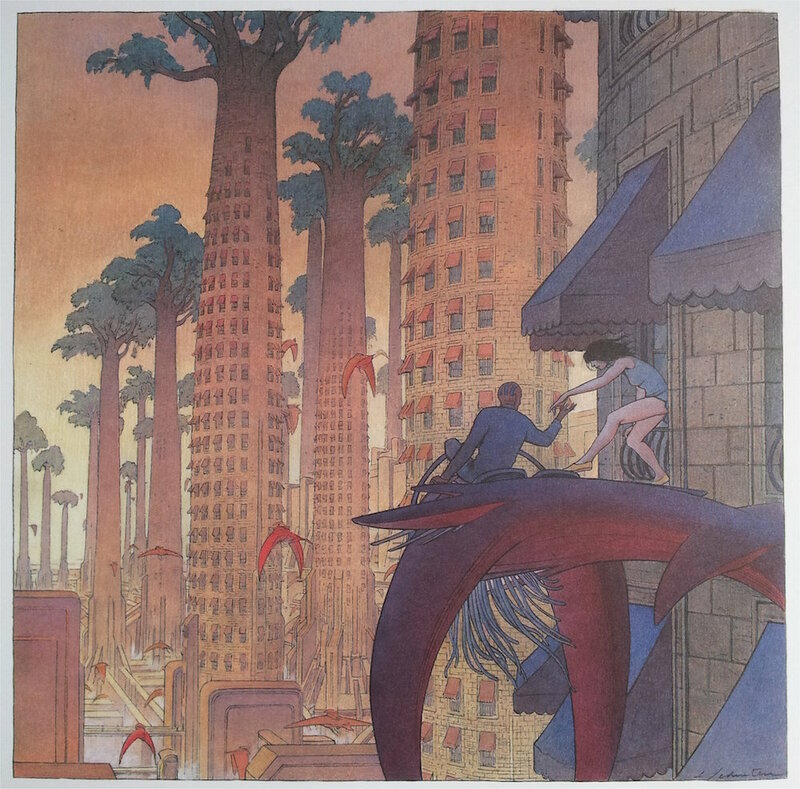 You can’t ignore François Schuiten’s love of architecture, particularly Art Nouveau, which is prevalent throughout his work and one of the things I fear I missed out on the most. If you ever have the chance to check out the Paris metro station Arts et Métiers, he designed it. I do wonder whether I would have been able to speed up my cultural awakening had I been reading The Obscure Cities. For everything you need to know about The Obscure Cities, head to Altaplana. You can catch up on all The Obscure Cities, available on Amazon. Original article by MESSYNESSY, published at June 30, 2016. This blog post was created on 2016-07-05 at 10:18 and last modified on 2018-05-06 at 08:40 by Joseph Le Perdriel.